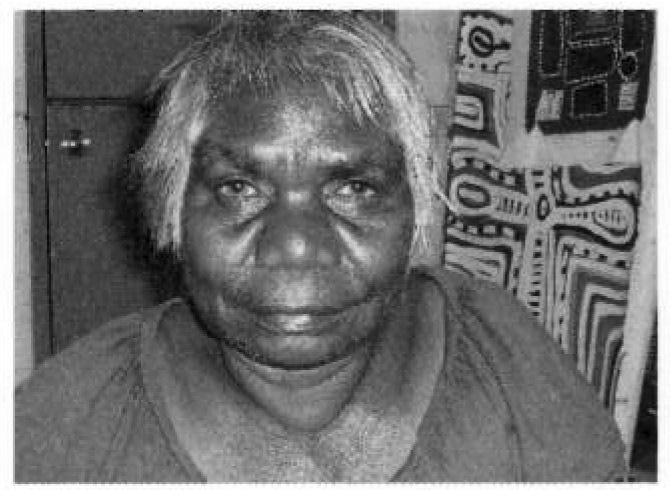 Biddy Napanangka Timms was born in 1952 and is from Lajamanu, Northern Territory.Napanangka knows her ceremony`s and laws and dances. She started painting in 2009 using her first medium which was body art in ochre and oils. Her favourite past times are caring for her grandchildren, cleaning her house and spending time in the art centre painting.